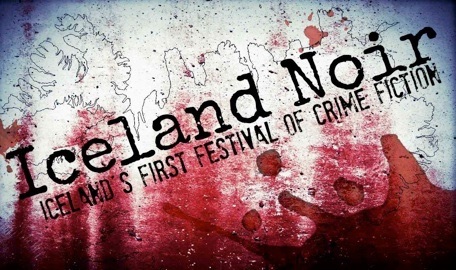 The first full day of Iceland Noir 2014 took place at the Nordic House in Reykjavik on Friday 21st November. It was an intensive day of panels, six in total, and I manged to attend every one. Below is a very brief summary of a very interesting day. The opening discussion, Nordic Perspectives, was led by journalist Jake Kerridge and featured Hans Olav Lahlum, Michael Ridpath, David Hewson and Lilja Siguðardóttir. Talk focused on the background to the books and the reasons for setting the novels in that particular time and place. This was followed by a panel on translating crime fiction, a particular interest of mine. It was moderated by academic Jacky Collins and featured Viktor Arnar Ingólfsson, Mari Hannah, Bogdan Hrib and Vidar Sundstol. Most had positive experiences of being translated and it was interesting to hear which languages these authors would like to be translated into. I look forward to reading Mari Hannah in Dutch soon! The final discussion before lunch was adapting crime fiction for stage and screen. Moderated by William Ryan it featured Lilja Siguðardóttir, David Hewson, Peter James and Alexander Sokoloff. It was a lively discussion on how the vision and essence of a book can be lost in adaptation. Interestingly though, there seemed to be near universal agreement that Thomas Harris´s Silence of the Lambs worked well both as a novel and film. Lunch was followed by a panel on The Golden Age of crime Fiction. Moderated by Agatha Christie´s Icelandic translator, Ragnar Jónasson, other panelists were Peter James, Susan Moody, Hans Olav Lahlum and William Ryan. The crime writers of the inter-war period in the UK are still influences on many of these authors’ works and I was, once again, reminded of how popular Edmund Crispin’s Gervaise Fen is. The second panel of the afternoon was on location featuring Romanian author Bogdan Hrib, Jefferey Siger who sets his books on Mykonos, US writer Annamaria Alfieri and Billie Rubin from Germany. All the featured authors clearly felt a great affinity with their chosen locations which must come across in their writing. A discussion on setting in Nordic landscapes came next. 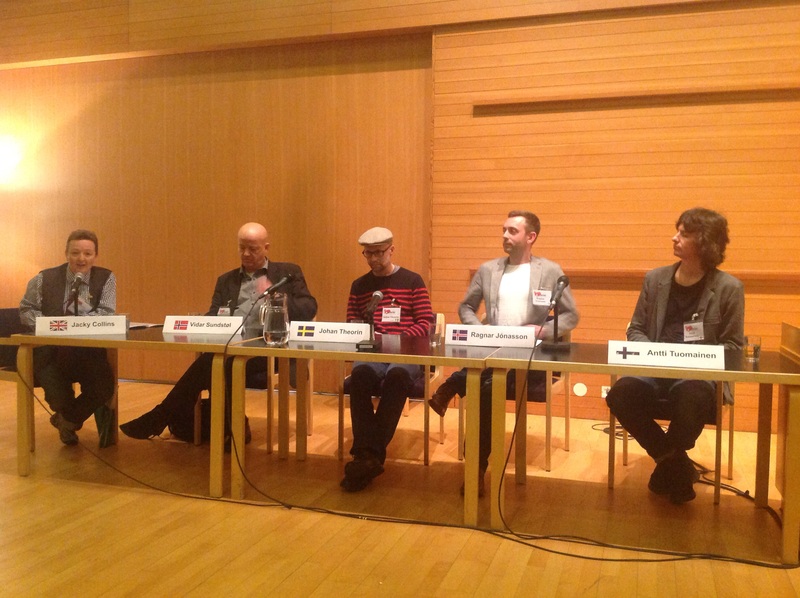 Featuring Johan Theorin, Vidar Sundstol, Ragnar Jónasson and Antti Tuomainen it was moderated by Jacky Collins. Although the panel touched on how integral the landscape was to their stories, what I found interesting was how their upbringing within these settings was also a major factor in shaping the authors’ novels. 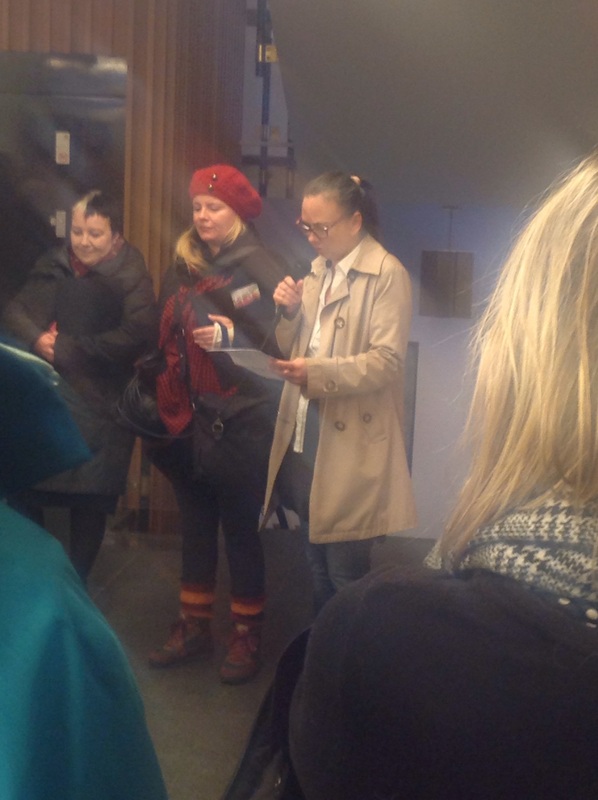 The final event of the day was a walk around Reykjavik featuring readings from various locations that feature in crime novels set in Iceland. Despite the bracing weather, it was a fascinating event and I particularly enjoyed hearing extracts from writers who are yet to be published in English. The small excerpts that had been translated by Quentin Bates showed us what we are missing. So, as you can see, an intensive but excellent day for us and a treat to see so many authors in one place. 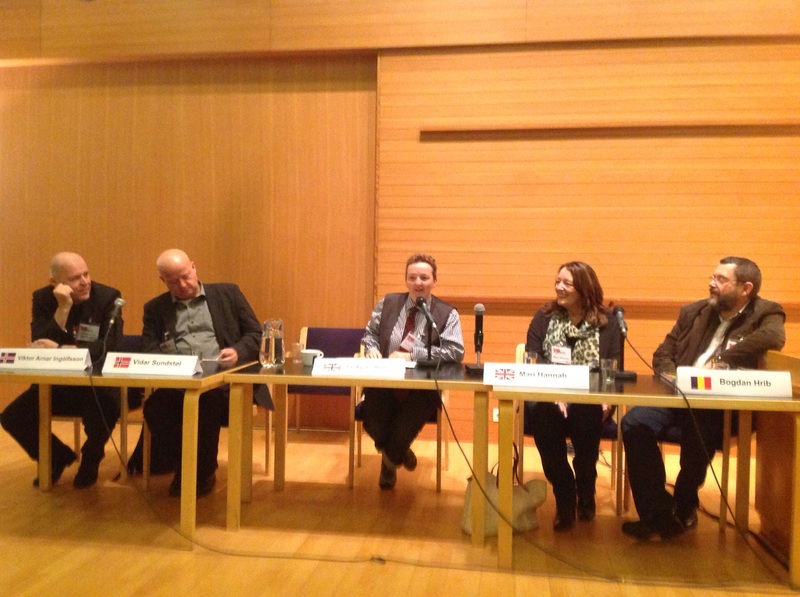 If you’d like more information on any of the panels, many attendees were Tweeting from the event under the hashtag #icelandnoir. An update on day two, including my own panel, tomorrow. What a great set of panels, Sarah! And such interesting topics too. And I’ll bet the walk was beautiful, if not exactly warm. Thanks for sharing. Thanks, Margot. We had a wonderful time. This sounds like it was a fantastic weekend and an event I hope to make one year. Would love to be on a panel with you, Rebecca! I’d love to be there Sarah! Sounds like a great event! Thanks, Linda. Maybe Shetland next year? Sarah, thanks for sharing all the pictures. I like the sound of Nordic Perspectives and Nordic Landscapes as well as the fascinating walk around on the final day. It’d be nice to sit, or stand around, and soak it all up. It was wonderful, Prashant. Hopefully see you one day in real life at one of these events. Some very interesting panels there. Lucky you to be attending them.